The 2018 Women’s Preferences Survey #1 “Survey” was a nationwide sample survey that collected data on a representative sample of the US women’s population within the defined age groups of 18 – 24, 25 – 34, and 35 – 44. It was designed to obtain a consensus of women’s opinions/preferences on various male grooming topics. Given a list of grooming styles or topics to rank from greatest to least attractiveness or importance. The target sample population was to obtain 100 respondents in each stratified subpopulation to arrive at a total of 300 respondents. 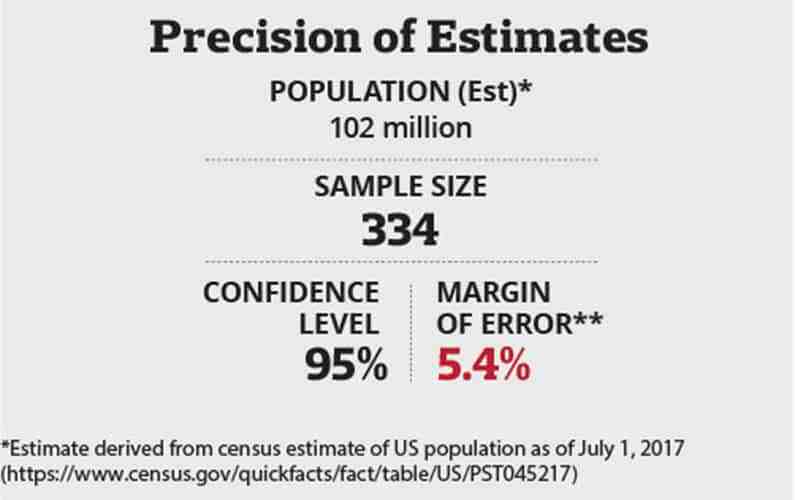 Based on the population size, this would provide results in which inferences could be made with 95% confidence and a margin of error of 6% which is a generally accepted standard. 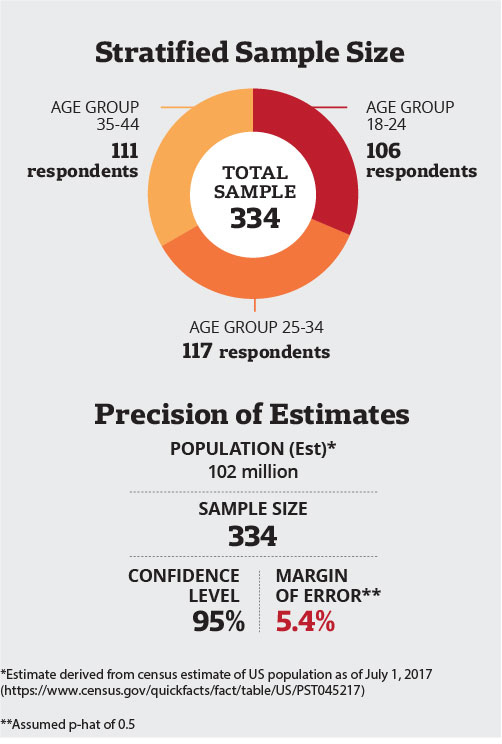 The graphic reflects the actual respondents per the conducted survey and related calculations. The survey was conducted on Tuesday, September 4th through Thursday, September 6th of 2018 by SurveyMonkey Audience. The contributors that make up the panel of SurveMonkey Audience is, overall, a diverse group of people and is reflective of the US population. Does not provide direct monetary rewards for completing surveys but instead offer charitable donations in exchange for their participation. Limit the number of invitations a panelist receives to take a survey as well as the number of surveys a panelist can take. 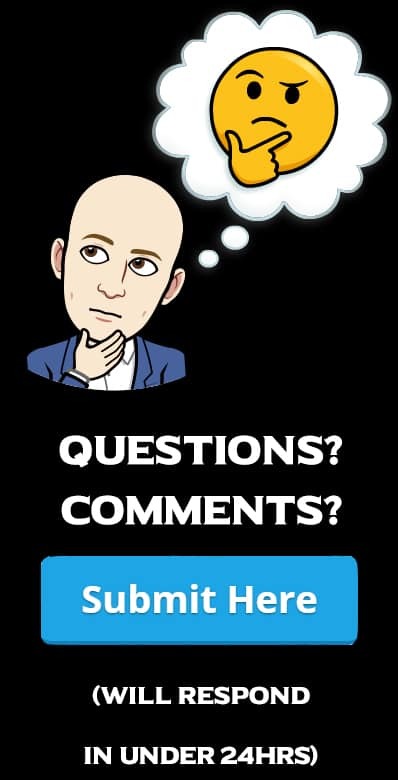 For more information, you can refer to SuveryMonkey Audience’s ESOMAR 28 which is a standard set of questions to understand a sample provider’s practices. It was established by the European Society for Opinion and Market Research (ESOMAR), a world association for market, social, and opinion researchers. An export of the survey response in raw form as well an export of the data in .XLS or other file formats are available upon request. Please email such requests to ben.rose@primandprep.com.